In my cursory search, I did not find any specific documentation for this alleged saying of Luther's. It appears to me that Luther probably did not say, "Take away the Mass, destroy the Church." Rather, he held something like Take away the mass and destroy the papacy. Therefore all those have erred who have helped and consented to abolish the mass; not that it was not a good thing, but that it was not done in an orderly way. You say it was right according to the Scriptures. I agree, but what becomes of order? For it was done in wantonness, with no regard for proper order and with offense to your neighbor. If, beforehand, you had called upon God in earnest prayer, and had obtained the aid of the authorities, one could be certain that it had come from God. I, too, would have taken steps toward the same end if it had been a good thing to do; and if the mass were not so evil a thing, I would introduce it again. [Luther, M. (1999). Luther’s works, vol. 51: Sermons I. (J. J. Pelikan, H. C. Oswald, and H. T. Lehmann, Eds.) (Vol. 51, p. 73). Philadelphia: Fortress Press]. Thus the mass is an evil thing, and God is displeased with it, because it is performed as if it were a sacrifice and work of merit. Therefore it must be abolished. Here there can be no question or doubt, any more than you should ask whether you should worship God. Here we are entirely agreed: the private masses must be abolished. As I have said in my writings, I wish they would be abolished everywhere and only the ordinary evangelical mass be retained. [Luther, M. (1999). Luther’s works, vol. 51: Sermons I. (J. J. Pelikan, H. C. Oswald, and H. T. Lehmann, Eds.) (Vol. 51, p. 75). Philadelphia: Fortress Press]. Let us return to the institution. We have then taken away the Mass, and we say in triumph against the Defender of the sacraments, that it is not a work nor a sacrifice, but a word and a sign of divine grace, which Christ uses for establishing and strengthening in us faith in Himself. And we see how foolish Satan is, since the longer and fiercer he rages and writes against us, the more senseless and infatuated is his delirium. 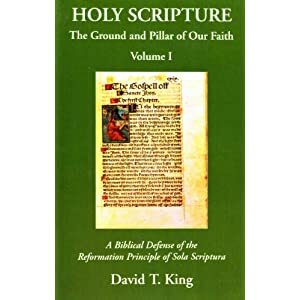 For this book of the King, as it is about the best in Latinity of all the books that have been written against me, so is it above all others the most blockish and stupid, so that I could almost attribute it to our writers in Leipsic, who are wont thus to babble when their babblement is at its best. Having triumphed over the Mass, I think we have triumphed over the whole papacy. For upon the Mass as upon a rock is built the whole papacy with its monasteries, its bishoprics, its colleges, its altars, its ministers, its doctrines, and leans on it with its whole weight. And all these things must fall with the sacrilegious and abominable Mass. So Christ through me has begun to unmask the abomination standing in the holy place, and to destroy him, whose coming was through the operation of Satan in all wonders and lying miracles. After digging around for awhile, this last quote appears to be the closest possible that I could find to the obscure quote. That Luther was opposed to the mass is no secret. Simply read Hartman Grisar's lengthy overview (his is a Roman perspective). 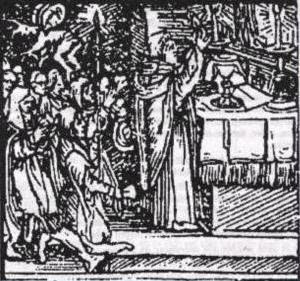 Luther was eventually even opposed to the word "mass"(LW 38:226). James wrote an article addressing the first question. The source for the nailing the 95 theses came from Philip Melancthon, who was a close friend of Luther. See more details below. Any blog that uses Jack Chick sleaze rather than arguments from the Bible, Fathers, history or common sense is a dump and not worth posting on. I like it here. I'm here to stay. Move over and give me some elbow room please. You may not like hanging around here. The Green Baggins blog probably attracts more readers and comments. If you're looking for me to respond to your every comment or question and engage you in lengthy dialog, well, that probably will not happen. My use of time doesn't allow that. I do attempt to be fair with those I disagree with without using "Jack Chick sleaze." Before the service at church starts on Sunday, my normal procedure is to make sure the premises are free of Jesuit spies. I was also doing some research regarding this quote and I found your blog. "Wenn die Messe fällt, so liegt das Papsttum"
For a fuller understanding of the Lutheran position regarding the Mass, see Augsburg Confession Art XXIV - Concerning the Mass.